4) Having blackened than ink skin. 1) The name Surt. Only one different word in the name comparing to Sult. 4) Having blackened and charred skin. Surt literally means "black" in Old Norse laguage. 9) Surt engulfs the whole world and that's how the world is destroyed after Ragnarok. Everyone died. Extra: the altar used to resurrect Sult incorporating multiple symbols which greatly resembling Nordic runes on its pillars: and and , among the others if any. So it led me to the inevitable conclusion that Sult already destroyed Elrios (the name is misleading, Elrios is only named when the El Crystal landed on the death continent), rendering the land a death world and killed most of god, with Henir as one survivor. Ishmael butted in, decided to send El Crystal to resurrect the broken world, but Henir had other plans for the world and so Henir fanatics kept undermining the El Crystal and harming El Lady in process. "Chekov's guns kept hanging" you say? But I beg to differ. Yes, Elsword has a lot of references to Norse mythology. My only problem with this wonderful theory is the lack of Ratatoskr. Wandering the internet with only the head. Other limbs are somewhere else. Henir along with Elia were the two original gods. Elia then created the material world, and demon realm came into existence as a feedback. Ishmael was the one to actually care about the material world. Surtr is a demon god so his existence should be the same time with when demon realm was created as feedback, meaning after Henir and Elia had "bye see you never" to the material world. As mentioned, Henir and Elia were the two original gods so there shouldn't be any other deities prior to them and since Surtr existence was sometime later, I don't think he killed any God with Henir as the only survivor. I couldn't find clues of such a thing. Could you please elaborate on where should I start from please? It wasn't said that there were ONLY Elia and Henir anyway, if not then why later Ishmael was also mentioned as a goddess. "In the beginning, there was the god of darkness, Henir, and the god of light, Elia. Elia created the material realm, but the demon realm was created as a feedback to its creation. The one who treasured this material realm the most was goddess Ishmael, who served Elia." Ratatoskr is a mythical squirrel messenger that delivers messages from Vedhrfolnir across Yggdrasil to Niddhogr. I'm genuinely curious, what did that piece of information having anything to do with my OP? Why there needed to be gods coming to be before Henir for it to matter, given that Ragnarok happened after Henir was a thing anyway? Yeah but I don't know what does that squirrel do in Elsword. I just heard of that name and searched google and find just that exact detail. I'm genuinely confused, what did that piece of information having anything to do with my OP? Why there needed to be gods coming to be before Henir for it to matter, given that Ragnarok happened after Henir was a thing anyway? Because in your theory, you said Surtr killed all the gods and Henir was the only survivor, then Ishmael throw the El down to the material realm to fix it which I don't see how it can directly or indirectly stop Surtr. So implying that Surtr existed at the same time as the two original gods doesn't sound plausible, he's a demon god while demon realm only came into existence some time after. 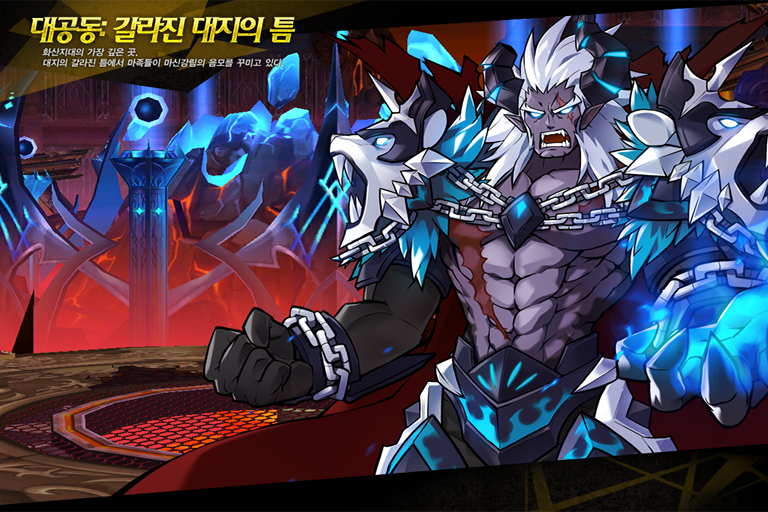 "at the end of the world he will go and wage war and defeat all the gods and burn the whole world with fire"
And which event in Elsword are you preferring as Ragnarok? You misread it then, I said "rendering the land a death world and killed most of god, with Henir as one survivor". And I didn't say that Ishmael stopping Sult or anything, how could you interpret it that way? And I didn't intend to resolve whether Sult became a thing before or after Henir or anything, that's beyond my subject. When writing that I never thought why did it matter for Sult to be a thing before or after Henir. My OP is entirely not based on that matter anyway, and I don't think the appearance of Sult before or after Henir would affect my OP in any way. It's redundant. Unless you think you can understand my post better than me myself then please elaborating on what part of my post could lead to what you interpreted as I came to the conclusion that Sult appeared before or the same time as Henir, and what it had to do with anything. I thought that if you can find the "lore" page then you could also find the Henir page as easy, if not more. Who cares about lore anyway?